In the Las Vegas Attack, Is the Shooter’s Gambling Relevant? What, If Anything, Does Stephen Paddock’s Gambling Have to Do With the Las Vegas Shooting? He was a dedicated — addicted? — gambler who tethered himself for hours at a time to high-stakes video poker slot games known for their 99.17 percent “payback.” He was also a heavy drinker, known to demand high-end cognac and treat cocktail waitresses and his own girlfriend rudely, according to a source in guest services at a casino he frequented. He was a lousy tipper and a loner who spoke as little as possible, but also a man who enjoyed free, fancy meals and rooms to keep him happy, said the same person, who asked not to be identified. And now that 64-year-old Stephen Paddock is also the gunman responsible for the worst mass shooting in modern U.S. history, the question is whether any of that has anything to do with the horrific thing that has made him infamous. The subject of Paddock’s gambling life is an understandable preoccupation in Las Vegas, in part because, four days after Sunday night’s massacre at an open-air country music festival, authorities have provided no tangible motive for an attack that clearly took a great deal of plotting. That he was staying for free on a comp in the 32nd floor corner suite at Mandalay Bay — the Associated Press first reported that and New York has since confirmed it — only adds to the sense that Paddock used the enormous amount of time he spent in the casino in part to devise his murderous plans. 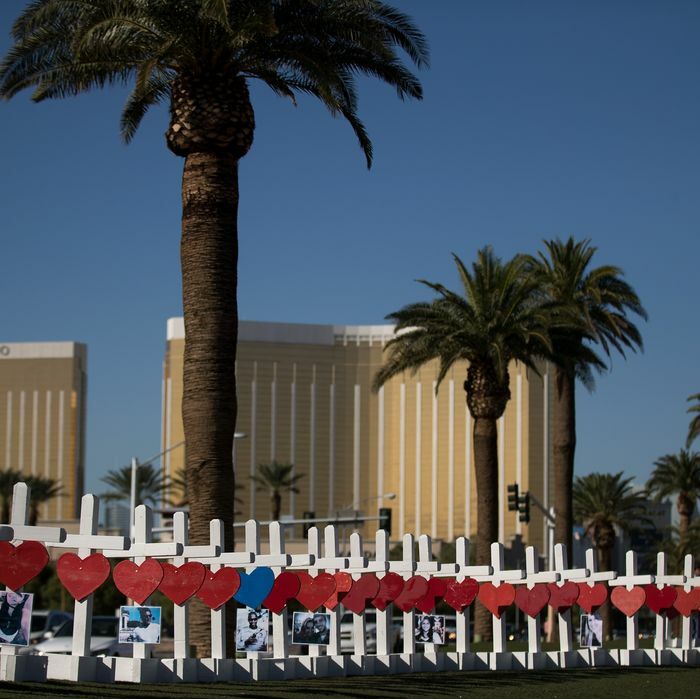 Paddock was so unremarkable, said Anthony Curtis, a former professional gambler and current publisher of gambling-industry website the Las Vegas Advisor, that his name rang no bells on the day after the massacre. On Tuesday, though, as more photos of Paddock circulated, many of the folks who had said they’d never heard of him started resurfacing to tell Curtis they recalled seeing him. Yet the game he played — known as Five Aces video poker — has the highest payout average of any game in the high-end salon, Curtis said. Paddock, reportedly a former accountant and real-estate investor, likely knew his math and made up the “leakage” — about $8.70 per $1,000 played — by enjoying perks, according to Curtis. As a gambler, Paddock was rated a “low 7,” said Curtis, meaning the casinos had verified he had between $1 million and $3 million in his bank account (that is, low seven figures). While Paddock was clearly a high-roller, Curtis said it is probably inaccurate to call him a “professional gambler,” the term Paddock’s brother used to describe him. A wealthy player can essentially break even between winnings and perks, but nothing about Paddock’s play implied he was really making his living in the casino.